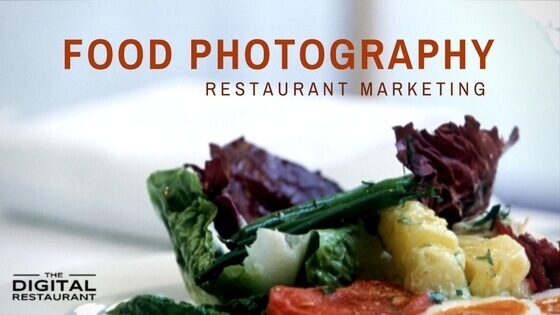 Your restaurant has a distinct personality and food photography can help showcase it in a meaningful way. In an environment with a high level of competition, it’s as important as ever to catch the eye of your potential customer. Professional food photography can help whet the appetite of your customer. The right mouth-watering photo on the homepage of your website can literally drive traffic through the door. Let’s take a more in-depth look at how professional food photography on your restaurant’s website can help you create a feast for the eyes. There are a few different approaches you can take, as you choose which dishes you want to highlight with photos. If you have certain dishes that are priced strategically to help entice people through the door. Or, you may have dishes that your restaurant and your chef are known for. It is a good ideas to rotate your website homepage pictures. The pictures can be weekly or monthly specials to help promote a variety of dishes. Food photography is a wonderful way to highlight the work of the chef. It showcases the artistry of the food. It also gives you a way to promote the dishes that you want customers to order. Website pages and blog posts with complimenting photos tend to fare better with your audience. It’s long been standard practice to pair written content with a photo for good reason – people will retain the knowledge for longer. With food that only makes sense. If you print that you sell a Chicago deep dish version of your pizza, the response may not be as strong as if you give us a mouth-watering picture of that pizza as it comes out of the oven. If the person looking at your website happens to be hungry at the time they come across that picture, your food photography may have just paid off. One other thing to consider: Google Images frequently ranks original images. More people are likely to track your image back to the original location and find your site. If you were perusing a restaurant website, and saw a picture of an average looking pasta dish, would that make you want to order? Probably not. Your customers will peruse your website with the same analytical approach that they would have for the food approaching their table. Don’t just rush to put up a blurry photo, or a photo where the lighting is not quite right. Make sure that the picture does the dish justice. Food photography can serve as the differentiator between your establishment and the competition. It can be the reason people order a specific dish or decide to frequent your establishment in the first place. Professional food photography can also help you bring the rest of your restaurant marketing ideas to fruition. As you develop your website and prepare your food photography, it pays to consider the details. Contact us for a strategy consultation.